During my two weeks stay in Lithuania I’ve realized that Lithuanians do like having a cup of tea. 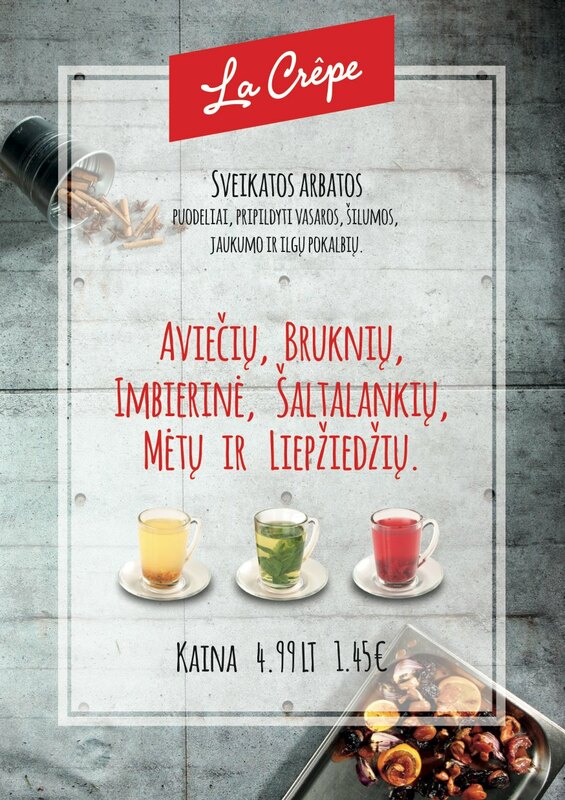 The drink of the cold season in Lithuania is a so called healthy tea to be found in nearly every cafe and restaurant. Many chains offer to enjoy seasonal raspberry, buckthorn, cranberry or linden flower drinks in addition to regular tea menu. What they all have in common is plentiful of health benefits that we badly need throughout the winter. These rather forgotten drinks grabbed my attention while back in Lithuania. Raspberry: is effective antibacterial drink, fights cold and flu symptoms, improves appetite, aids digestion. I still remember when I was a kid and would get a flu, my mom would be making this tea every day till I got better. Buckthorn: is a true vitamin bomb to strengthen the immune system. Widely used in folk medicine buckthorn heals liver and kidney illnesses, anemia, diabetes, also aids digestion. Tastes good with honey. Cranberry: is a natural diuretic and is said to clean the body by flushing out toxins. As much as it’s used in cooking, tea made from cranberries is also healthy because of vitamins and minerals. Linden flower: aids digestion, soothes cough, fights cold and fever, helps get rid of free radicals, reduces anxiety, to name just a few. It’s a perfect treat with honey and can be found in almost every Lithuanian home as a first aid against cold symptoms. Raspberries, buckthorn and cranberries are picked from summer till autumn, then made into jams and later used as warm and healing drinks.